In a world of high speed electronic communication you can often be spoilt for choice and a session surfing the web for a bargain can leave you not a little perplexed. There are few more confusing and jargon-rich commodities than insurance. Here the layman can be subjected to a wealth of pressure from, for example, comparison sites. The question immediately arises as to why you should use the services of an Insurance Broker when such sites exist, purportedly to give you the best bargains. 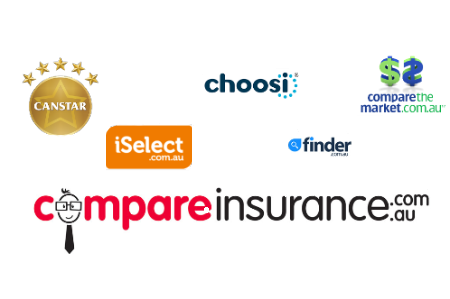 There are many insurance comparison sites in Australia which market themselves as giving unbiased and free advice. However they are intent, albeit subtly, to persuade you to buy from a restricted choice. In a recent article written for Choice, the non-profit making Australian consumer movement, the largest of these comparison sites were examined with significant concerns. One of the core problems CHOICE pointed to in our submission is that some sites only compare a small proportion of the market. Compare the Market is advertised as a market comparison service but it doesn’t compare major players GIO, AAMI, NRMA, RACV, SGIC, SGIO, Allianz or QBE. iSelect doesn’t compare any of these insurers either. Customers using comparator sites should know that they don’t cover all the options and often don’t know the products in as much detail as the end insurer. Their claims to being free and unbiased should certainly be questioned. In many cases the provider is paying a commission to the site, either as a fixed percentage or as a set fee per sale. The study also discovered that comparison sites were somewhat selective. When recommending health insurance, for example, less than a third of the providers were included. Furthermore, when you’re looking a one of hundreds of policies on these sites, what are you covered for are what are you not covered for? These sites only present you an option that has been priced accordingly. Not all insurance is the same and often a policy becomes cheaper if certain risks are excluded. Your broker will know this and provide you a policy specific to your needs, a comparison site doesn’t. The Australian Competition and Consumer Commission (ACCC) in its report of November 2014 identified several areas where conduct by comparator website operators could be interpreted as being misleading or deceptive. It highlighted a lack of transparency in the area of behind-the scenes commercial relationships between the sites and individual companies. It appears that recommendations are often far from being as impartial and as independent as they claim. The advantage of using a broker for your insurance needs becomes apparent when you look at the anonymity of the comparison sites. You are not dealing with a person who can talk you through the advantages and disadvantages of different policies and there is no individual who can help and guide you through the process should you need to make a claim. The rationale behind using an insurance broker is to have an individual expert on your side, one who can look at your personal situation and help and guide you to choose the policy which best suits your unique situation. Often insurance companies will offer policies through brokers at very competitive rates, rates you would be hard pressed to find on a comparison site or directly from the company. You will need a policy which will give you optimum coverage, and flexibility of time period. By building a relationship with a broker, you can dovetail your insurance needs as your circumstances change. Insurance Brokers Australia (IBA) is a member of the Steadfast Group – the largest network of insurance brokers in the country. IBA has an outstanding reputation and the resources and expertise to filter through the many Australian policies it has access to, in order to find the best one for you. The friendly IBA agent is a specialist in the fine print associated with insurance jargon and will give you an unbiased opinion on your course of action. He/she will also be there for you in times of stress – something no comparison site can possibly do.